For lovers of the slightly offbeat and bizarre like us, the Karoo Art Hotel in Barrydale hits the spot. As you’ll read in the excellent Barrydale Unplugged book by Leslie Howard, the hotel has a good back-story. 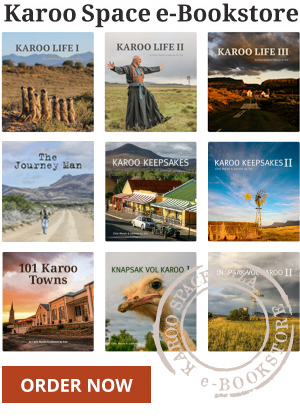 It has, in the past, gone by the names of the Bon Accord, the Valley Inn Hotel, the Barrydale, the Barrydale Karoo Hotel and is now, simply, the Karoo Art Hotel. There have been wild parties, legendary bar fights, crazy décor jobs and happy hookers along the way. At one stage, says the entertaining Ms Howard, it was known as the ‘Moulin Rouge of the Karoo’. Well. Could it sound more alluring? There is colour everywhere, each room is a separate artistic statement and the hotel kitchen is the creative domain of one Derek Lowe, a chef who used to cook for the Governor of St Helena Island. 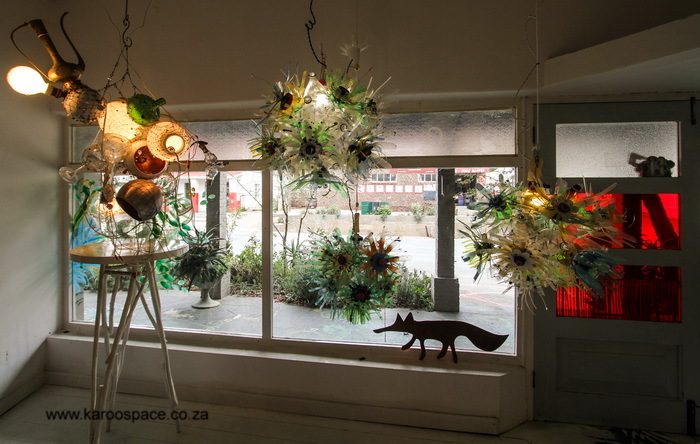 Right across the road from this rich yellow, gloriously-flagged hotel is Magpie, a collective of artists and crafters that fashions all manner of objects into stately, one-of-a-kind chandeliers. Not only do they have a thriving export business, but former USA First Lady Michelle Obama once bought a brace of their chandeliers. We meet Shane Petzer, one of the Magpie mob. He tells us how their creations are not mere fancy light fittings – they are ‘memory holders’. You can bring along a collection of broken heirloom china, your found objects like stones and feathers and little tsatskes and the Magpie people will turn the lot into a chandelier of your life. 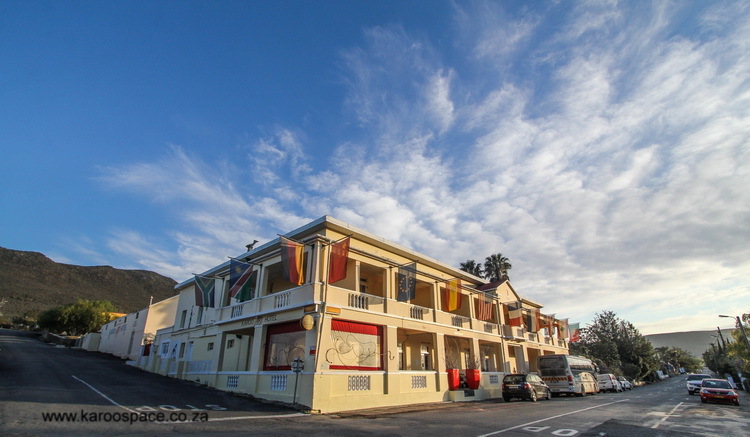 We make our way up to the Barrydale Strip, the jazziest 200 metres of the entire 600-odd km of Route 62 which, by the by, was voted the top road trip destination in the whole world in a CNN Travel poll last year. And jazziest of all on the Barrydale Strip is, doubtless, Diesel & Crème. This is where, it seems, most of America’s Art Deco neon, priceless enamel pieces, soda fountain oddments, old movie posters, quacky plastic ducks, flags and beer signs have come to live. The next day we’re on a dorp ramble around Barrydale shortly after dawn, and the air is fresh with last night’s rains. The streets are impeccably clean. “There should be a TripAdvisor for small town streets,” I say to Jules, possibly still running on milkshake power. “If there was, you could give five stars to that guy over there,” she replies, as we approach Chrisjan Hendriks, who is clearing up the last stray leaf outside the OK Bazaars. Chrisjan is astonished that we would want to photograph him amidst his handiwork. 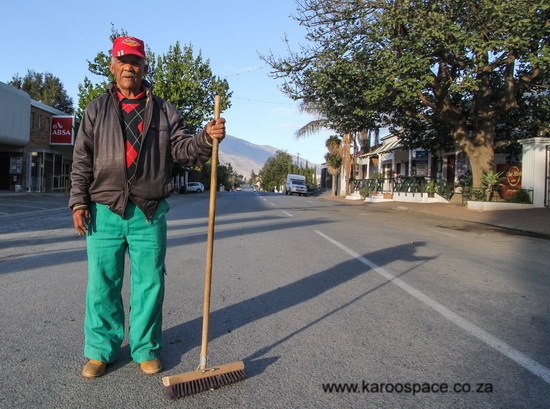 We pose him in the street with his broom, shoot a couple of frames and congratulate him. The cleaner a town keeps itself, the more tourist-friendly it becomes – that is an undisputable fact. We venture into The House of Books which is, literally, that. You couldn’t swing a cat around here for fear of knocking over a pile of worthy tomes. The owner, Anton de Villiers, is a lovely man to photograph and speak to, if you feel like a decent kuier. It turns out Anton is also mad about cameras, both moving and still. In fact, he has shot no fewer than 82 videos of everyday Barrydale, which will no doubt become invaluable over time. 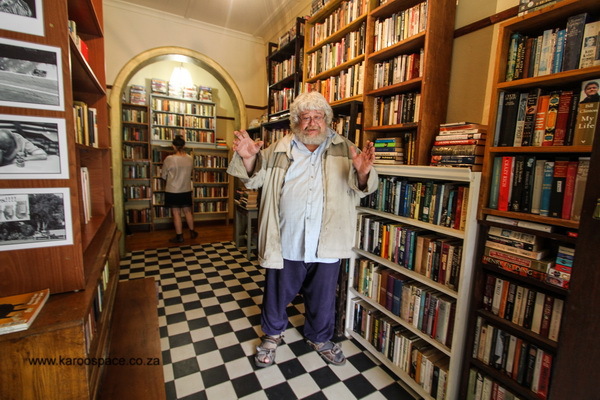 I snag a copy of Thunder, Flush and Thomas Crapper (An Encycloopedia) by Adam Hart-Davis and dig out R100 to pay Anton over at his ramshackle till-point. 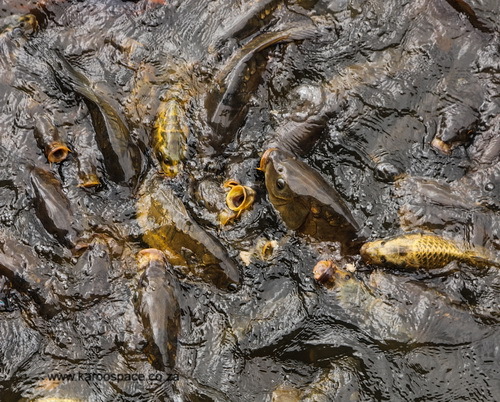 Lunchtime finds us at The Blue Cow feeding a frenzy of koi and carp with bread crumbs as they thrash about the dam next to the eatery. “Can a bloke fish from here?” I ask the owner, Hannette Cooke. “You have to be over 60 years old and you have to wear a G-string while fishing.” She says some punter actually took her up on the challenge and did just that once. After lunch we check in with Carol Morris at the classy Barrydale Weavery, which also has an outlet on the Strip. She introduces us to master weaver Themba Tivane, who first learnt the art of the loom from missionaries back home in Swaziland. Carol and Themba have skills that complement each other, resulting in a highly successful business partnership. 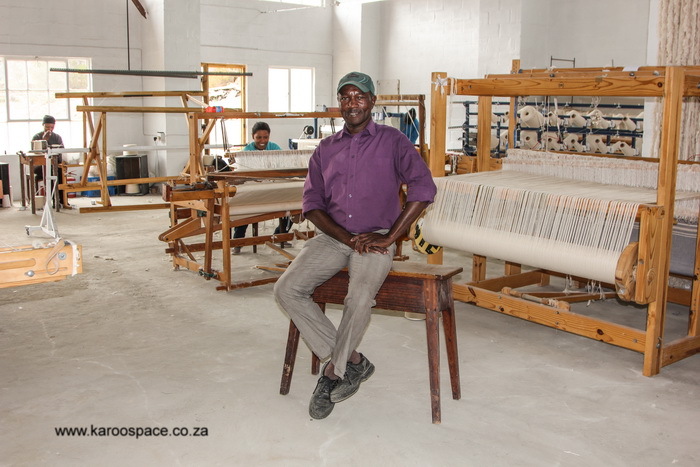 She does the designs and marketing while Themba runs the weaving operation. And then, on Sundays, Carol puts on her naughty hat and heads out west to the Karoo Rock Saloon for a couple of champagnes with her good friend Janet Brewer as they listen to some live old rocker tunes and toast the Little Karoo in all its glory. Barrydale is one of the top towns featuring in Moving to the Platteland – Life in Small Town South Africa by Julienne du Toit and Chris Marais. Available in print format HERE and in Ebook format HERE.